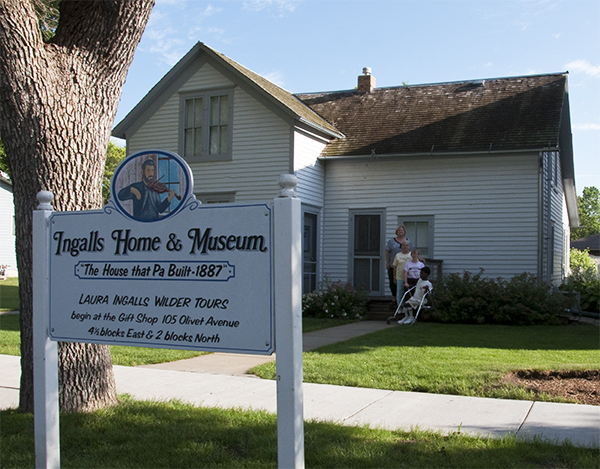 This tour begins on Thursday, July 18, 7 PM, near Walnut Grove, MN; ends Saturday night, July 21, with dinner and overnight stay near Walnut Grove, Minnesota. Departure on July 22. This tour visits Walnut Grove, MN, and De Smet, SD, and sees the pageants in both places. We enjoy the pageant in De Smet. By the Shores of Silver Lake. We ride in this covered wagon to a one room country school and experience many pioneer activities. 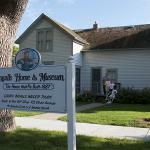 Pa Ingalls built this home in town. We enjoy our tour here and also visit the Surveyors House and Brewster School replica. We learn so much about this area and see many places that Laura mentions in her books.